App Store rankings and top lists in real time. Is there a better alternative to App Toplist? 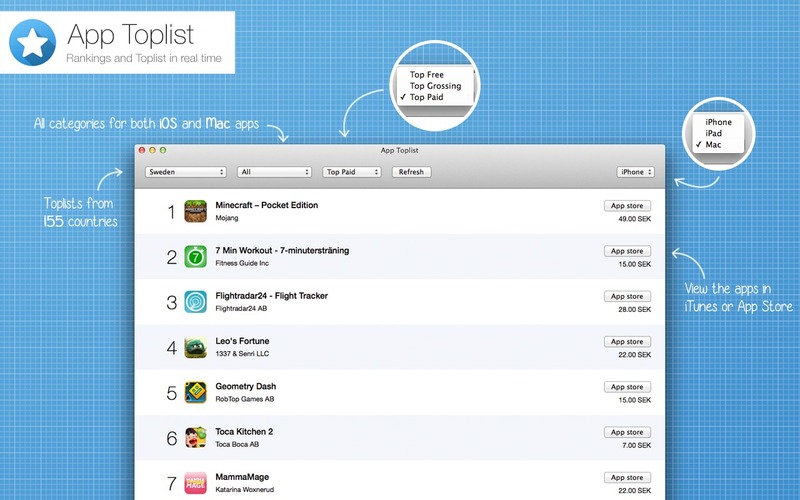 Is App Toplist really the best app in Developer Tools category? Will App Toplist work good on macOS 10.13.4? App Toplist lets you check App Store top lists and rankings from 155 countries for iPhone, iPad and Mac applications in real time. Select country, category, paid or not and platform. App Toplist needs a rating. Be the first to rate this app and get the discussion started!